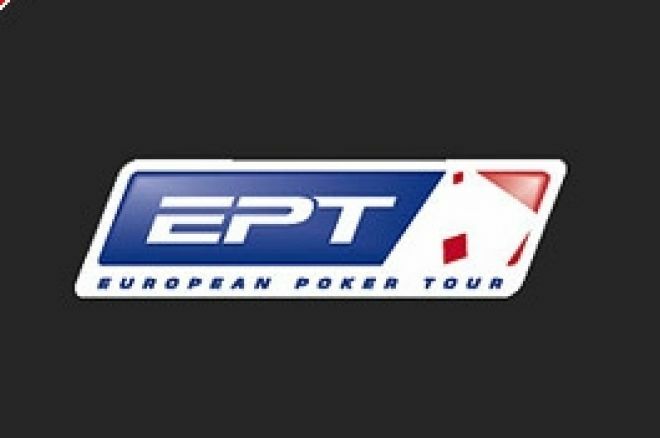 After a splendid opening event in Barcelona, Season 3 of the European Poker Tour (EPT) rolls into London's famous Victoria Casino for the next leg, starting today, 21st September, as the climax to The Vic's European Poker Championships festival. The maximum 400 seats for the £3,500 (c. €5,000) buy-in Main Event are likely to be filled to capacity in this cosy venue, with the opening session split over two days to accommodate the players, many of whom have qualified via online tournaments laid on by the EPT's main sponsor, Pokerstars.com. Over 80 of the players are members of Team Pokerstars. While the majority of these will be here via online qualifiers, there are also some leading professionals with Pokerstars endorsements in evidence, such as Joseph Hachem (WSOP Champion in 2005), Isabelle Mercier, Luca Pagano and EPT Monte Carlo Season 2 Grand Final winner, Jeff Williams. In the corresponding Season 2 London event, UK players occupied half of the final table, with Mark Teltscher taking the spoils and £280,000, while Paul King, Dale Greenleaf and Scotland's Graham Clarkson secured 4th, 6th and 8th respectively, for decent paydays. There is sure to be another heavy presence from home shores, many of whom will be mighty familiar with the Vic's close surroundings, warts and all. "All non-members need to produce a passport in order to become a member of the Grosvenor Victoria Casino and gain entry to the club. The registration process can take a few minutes so it is vital that non-members arrive up to one hour before the tournament begins in order to complete their application. Players who are not physically present inside the casino at the start of the tournament will not be allowed to participate under British law. " "IMPORTANT: Tournament late comers will be barred! Unlike the US, UK law requires that all participants are physically present in the casino at the start of the tournament. If they are not present at the appointed time, they will not be allowed to take part in the tournament. This, unfortunately, is exactly what happened to a French visitor last year, who arrived just minutes after the appointed time but was not allowed to take his seat. "The Victoria Casino has a minimum age of 18 and requires guests to supply photo ID such as passport or driver's licence." Tune back to UK Poker News for progress in this, one of London's biggest poker events of the year.